St. Michael cast bronze statue stands 14.5" tall. 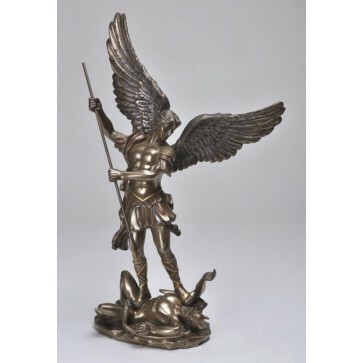 St. Michael Defeating Satan 14.25" Statue, portrays St. Michael protecting against the wickedness of the devil. Made of Bronze Coated Resin.